In Aiken, SC and looking to get a haircut? Snazzy’s Barber charges $12 for men’s haircuts. Need to make an appointment? Call (803) 649-3855. 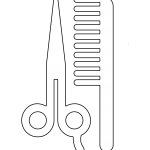 Enjoy services at Snazzy’s Barber during opening hours: Mon – Sat 7:00am to 7:00pm.